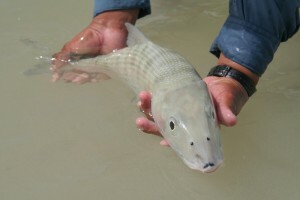 You want your bonefish to live long and prosper after you release it? Well, here are some thoughts. You’ll notice I’m not immune from making bad decisions. I do, from time to time, but I want to be better. That’s the goal. 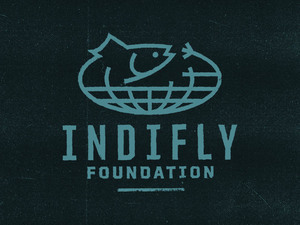 The risk to the fish by our poor actions is not insignificant. Here’s a post from years ago about that very thing. For best results, the angler should minimize two things. 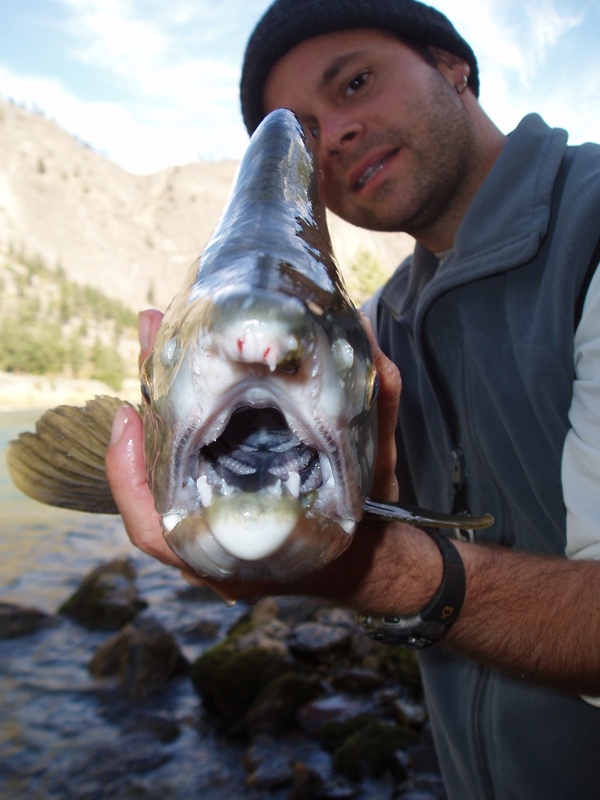 Air Exposure – How long the fish is out of the water. 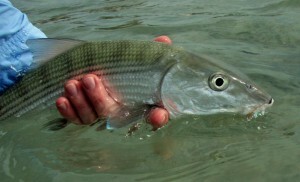 Handling – How much you touch the bonefish. 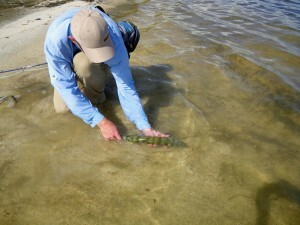 This is important because when you release a bonefish back into the salt, there are other things waiting to eat them. They don’t get a chance to catch their breath or recover. A bonefish survives because it can swim faster, react quicker than the sharks and cuda’s trying to eat them and if they are impaired when you let them go they stand a decent chance of becoming food for one of those predators. 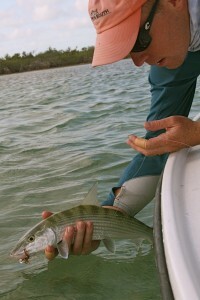 Here are the grades of handling for bonefish. You have hooked the fish and fought it to the boat. You admire the fish while it is in the water, still swimming, on the end of your line. You reach down with your pliers and simply pop the fly out of the fish’s mouth (since you are fishing barbless). 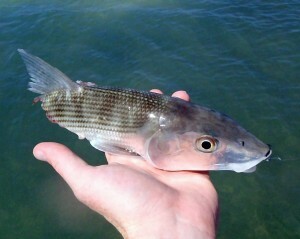 You have hooked and fought a bonefish. Getting the fish to the boat you reach into the water and cradle the fish in your hands. Maybe you take a picture of the fish in the water, maybe even underwater. You unhook the fish and let it swim away. You hook the fish, fight it in and you quickly bring the fish out of the water for a picture. The fish is out of the water for just a few seconds. Air Exposure = A little. Handling = Not that much. You hook that fish and get it in. You bring the fish out of the water and hold it, mid-air, out of the water, maybe sitting in the middle of the boat, while your friend or your guide snap a bunch of pictures. Air Exposure = Too Much. You hold that fish up with a boga, in the middle of the boat for a bunch of pictures. Handling = Way, Way, Way too much. That green hat, my first decent bonefish and some horrible fish handling. 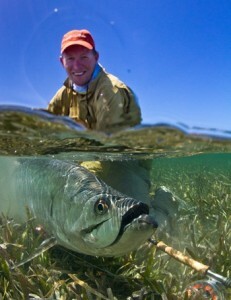 Here is what the Bonefish & Tarpon Trust has to say on the matter. We all can do better. As I looked through my own pictures I was bummed to see my picture from Hawaii, just recently, that was poor handling. I think it was faster than it looked like, but I could have done better. It is harder to always be in the A camp. I think as long has you have an A- average, you are doing pretty damn well. 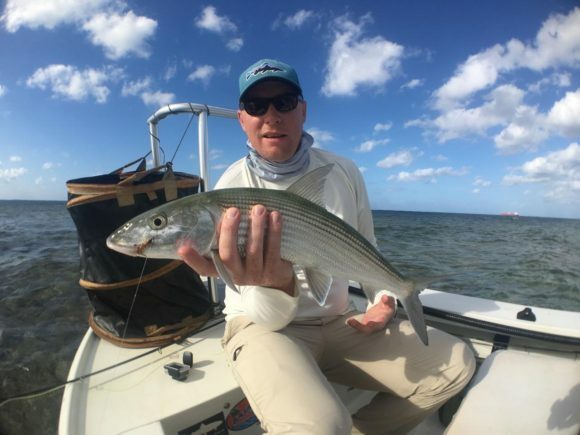 Other considerations you should keep in mind are to limit the duration of the fight (get that fish in as soon as you can) and never touch a bonefish with a dry hand (or dry anything). It really is about education and the more we spread the word and encourage other anglers to learn about how to do things right, most will opt to do things right. They do some fine work over there. It always kills me to see an angler new to bonefishing, grinning ear to ear, with a huge slime print on his shirt. Nobody will say anything because they don’t want to spoil your moment but that slime belongs on the fish not your flats shirt. It’s their protection from harmful bacteria. Hugging them does not show that you love them. Could Gaff and Drag be done in Florida? Looks like the PTTS could be dealt a major blow (and that would be divine justice) as Tarpon look set to be declared a Catch and Release species in Florida. Ah… so good to see some things moving in the right direction. The PTTS being drug to the trash heap of history would be things moving in such a direction. Good job to those who have been pushing on this. Awesome shot by Jim Klug. I almost forgot about Science Wednesday. By that, I mean to say I totally forgot about Science Wednesday, but I figure slightly delayed is still pretty good. 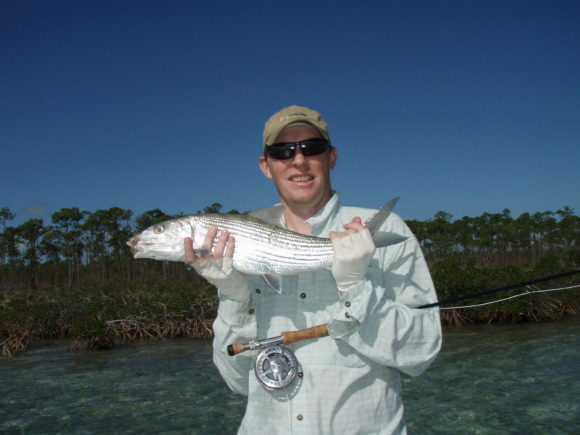 So… let’s talk about what happens to those C&R bonefish. It turns out they stink. They stink no so you or I would notice, but if you were say, a Negaprion brevirostris, you would likely take notice. That’s a lemon shark and while you might like lemon with your fish, it turns out that the lemon has a bit of a taste for fish as well. In this case, it is stinky bonefish they are partial to. One of the authors of this study is Andy Danylchuk. Thanks for the pull. Sorry it didn’t work out. Let’s keep those fish swiming. With some practice and experience, all the questions and answers will become second nature so that you are simply “doing” as much as thinking about what you are doing. 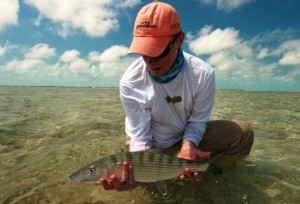 And when you finally slip your hand over that big fat bonefish, the feeling of accomplishment is great. 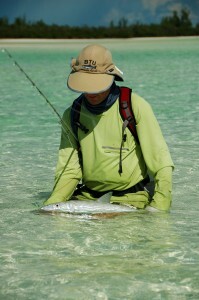 After taking a few thousand bonefish myself over many years, I still don’t take any part of the pursuit for granted. via “Close to the Bone” | MidCurrent. This photo was in a post about bonefishing written by good ole’ Chico. 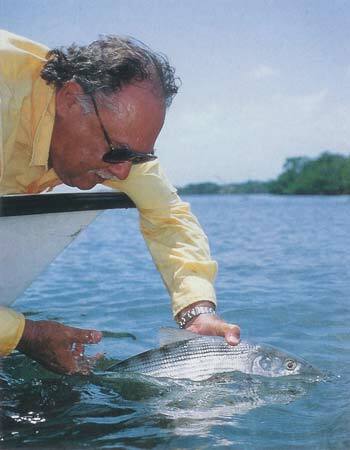 I’m glad (and I bet Aaron is glad) that when it came time to select a photo of Chico with a bonefish they picked this one… the fish in the water, the release likely to be a good one, the fish probably surviving. (This post was originally posted on Nov. 9, 2009. I’m recycling it for my “Good C&R Week”. 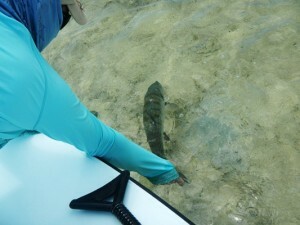 After my bonefish vs. sharks (and cudas) post I put it up on a couple message boards and folks… well… they weren’t fans. One guy even went so far as to suggest that pretty much any landed fish was going to die, specifically saltwater fish and in particular bonefish. So, I had to go and find some more information. The news was pretty positive. Basically, if you limit your handling of the fish and limit the fish’s exposure to air, they are going to do well. The good folks at Carlton University, again, had the goods. In one study, out of 12 fish caught and tagged with gastric implanted acoustic transmitters one was killed quickly, one transmitter was found two days later and the 10 remaining tags were still swimming around (in their bonefish hosts) at least 13 days later. Ah… well… that’s nice to know. 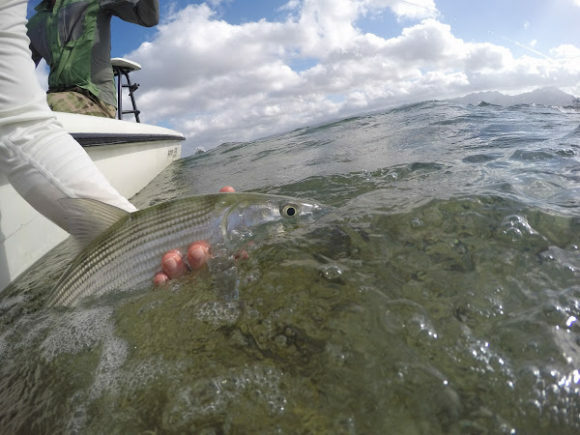 Here are the conclusions reached as it pertains to how anglers, guides and fisheries management folks could help improve the survival rates of bonefish post-release. 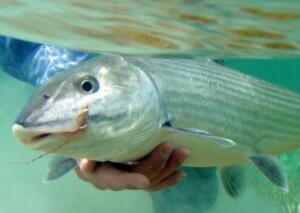 The results of our study suggest that there are opportunities for anglers, guides, resource managers and conservationists to enhance the sustainability of recreational bonefish angling. …(1) Our first recommendation would be for anglers to land fish as quickly as possible and to minimize air exposure during the hook removal and release phase. A cooler or live-well aboard boats may provide an appropriate holding unit to minimize air exposure for this procedure. In fact, we recommend allowing all captured fish to recover for 2–3 min in a cooler or live-well prior to release. Fish that are returned to the water without losing their equilibrium should be better able to avoid predators and resume normal activities more rapidly. Because the likelihood that a bonefish will survive after release is substantially reduced in regions where sharks are abundant, distracting a shark by splashing may be helpful, but will not prevent all predation. (2) We also recommend, that when sharks are in the immediate vicinity of release, anglers hold their bonefish in a cooler or live-well and transport it to an alternate release location. This action may not be possible for anglers that are wading. If sharks are present and the likelihood that a shark will attack either angled or released fish is high, we encourage anglers and guides to relocate to an alternate location. 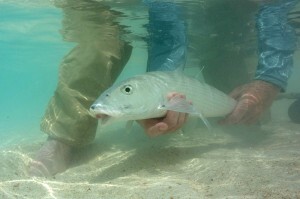 If a captured bonefish is bleeding, we recommend that it be held in a live-well/cooler for 2 min to allow clotting before release or moved to an area with complex cover such as mangroves. 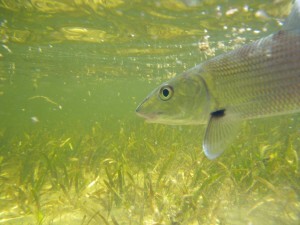 The conservation of bonefish will depend upon anglers using strategies to release fish in good condition, such that they can avoid predators. Educational material related to proper fish handling needs to be disseminated to stakeholders around the globe that are involved in catch-and-release bonefish angling, or management of these fisheries resources. I think in a subsequent study the idea of releasing the fish near mangroves turned out not to be effective as bones seem to head to deeper water (where lemon sharks are known to lurk), not the mangroves. One of the researchers, Dr. Cooke. I didn’t start out too good. The first success I had was with a guide that either didn’t know, or didn’t practice good C&R. The results were lots of grip & grin shots with the fish out of the water for way, way too long. Ok… so, not everyone has a professional photographer as totally awesome as Cameron hanging out with you all day, so, here are others. Tom Larimer took this pic. Another pic from Belize with El Pescador. A DIY Bone from Grand Bahama. 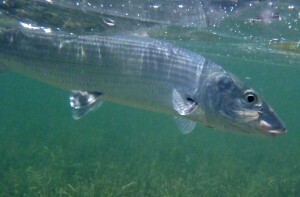 Here are some examples of pictures of bonefish that were also pretty good for the bonefish. Minimize Air Exposure. Minimize Handling. Here's Aaron himself. The fish is in the water. That's good. Another good pic from Aaron, this one underwater. Underwater cameras are coming WAY down in price. Pick one up. Three pretty good examples of getting the picture and doing so in a way that the fish is less likely to get munched upon. Alright, I told Aaron Adams that I’d make this week’s posts all about handling bonefish correctly… so… that’s what I’m going to do. Monday to Friday will be dedicated to showing fish being handled and released well. As far as the catching part goes, just fish as heavy a tippet as you can and have enough drag to make progress in getting the fish in. Don’t overplay the fish… that’s a pretty easy concept. In terms of the release portion of the issue goes you just have to be aware that every little bit longer you keep the fish out of the water increases the likelihood that it will get munched on when it is released. These aren’t trout. Just because it swims away doesn’t mean everything is OK. If it swims away, but is tired… well… the odds that a cuda or shark will eat it go up a fair bit.